I have mentioned several times that the current hair industry shows fast development. The manufacturers in this industry continue designing, exploring and making advanced hair products in wide variety to fulfill the various demands of many fashionable women around the world. For the results, there are always new kinds of innovative hair products such as Maxglam 360 frontal wig that attracts attention of more and more wig users in the past few years. 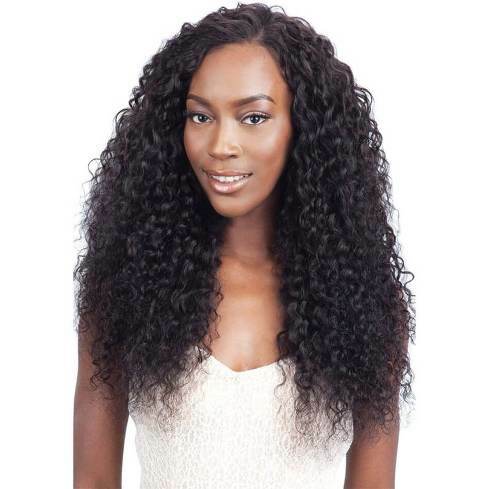 While 360 lace frontal is another hair piece that still needs you to install added human hair bundles to get the whole look; this new kind of lace wigs is a wig which created with circular lace band around and more wefts at the top part. Thus it is not a full lace, not a lace front wig either. Let’s say that you plan to become a blondie in easier and faster way as you don’t have the spare time for salon visits. Wearing wigs is a good decision, girls. You can choose any kind of wig to reach the desired look. 360 lace frontal wigs will provide you with more flexibility in styling options. You can create up-dos, high pony tails, high buns and half up-half down hair styles along with capable of parting in any direction (on the front and back part of the head). High quality products will also offer more natural and fuller look with those added hair lines, baby hairs and higher hair density. The quality of a hair piece will determine how it will affect on your final look. So, it is important to make sure that you shop the hair product at the right place like Maxglam. Check out the beauty of the featured wigs here, girls! It is fine if you opt for wearing a blonde lace front wig as you still can get some benefits from it. Anyway, we have already discussed a bit about reasons to wear lace front wigs in a previous post, right? This kind of wig has only the lace bottom in the front part (side-to-side) thus it will limit your styling choices. You can’t create a hairstyle that shows the back hairline and can’t part the hair on the back part of the head. That’s all. You can also get blonde with installing Maxglam blonde weave on your strands. After 4-6 weeks application, you should remove it to give your hair and scalp rest for at least a month. What if you want to keep blonde but have no time for the installation and intense hair care? It is not easy for a beginner but you can learn how to make a wig out of your favorite blonde weaves, girls. To make a 360 lace wig, you can unite a few hair bundles and a 360 lace frontal. Go online to see some tutorials which describe the instructions in details. It would be great if you are able to make your own wig, right?